Long gone are the days of sleeping in front of boring biology textbooks and reading thousands of terminologies. 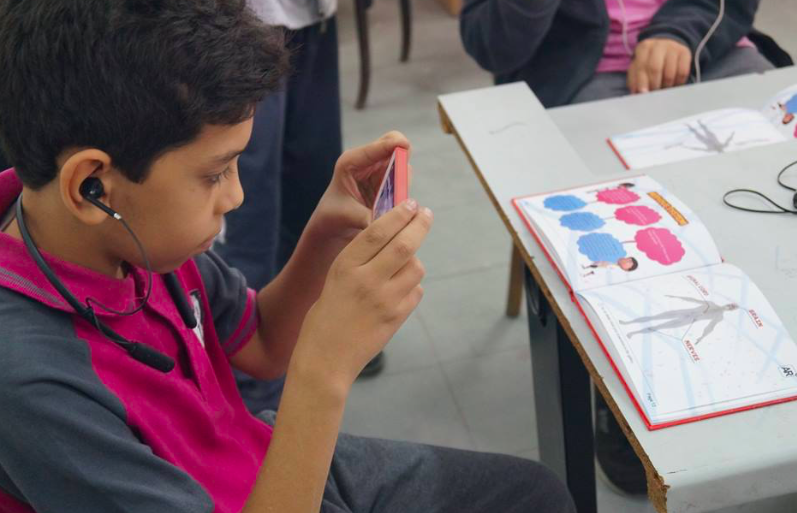 Egypt is finally catching up with the digital world, therefore, making students lives more tolerable with its latest product, Imagina book. Imagine reading about the anatomy of the cardiovascular system and having zero imagination. You can’t tell the difference between a vein or an artery. Reading about the brain halves sounds like a sci-fi movie. Everything is overwhelming and you soon lose interest. Imagina Books is the perfect solution for a child who needs a little bit of visual incentive to get things going. All you have to do is open your book and hold a tablet in front of it and voilà, the magic happens! A three-dimensional figure of the discussed subject; a human body part, shows up on your screen where you get to move and rotate in all directions. You can even take a screenshot and save for later; maybe for those dreadful revisions on exams week! As a parent, I get extremely agitated by excessive screen time for children, but I believe this child-centric science book is a chance to turn their unhealthy obsession with tablets into something useful. WE SAID THIS: Imagina book is now available at Virgin mega Store, Souq.com, and Jumia.